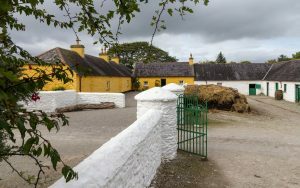 The Traditional farms at Muckross offer an experience of what life was like in the Irish countryside during the 1930s and 1940s prior to rural electrification and widespread mechanisation. The award winning farms include cottages, farm animals, fresh bread and butter making. The Farms include a small, a medium-sized and a large holding. There is also a Labourer’s Cottage, Carpenter’s Workshop, Blacksmith’s Forge and a schoolhouse. Muckross House, The Farms and the Schoolhouse is often used as a venue for cultural events. 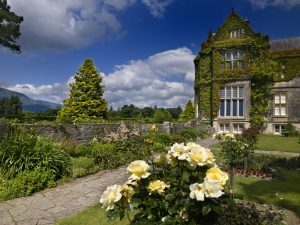 Follow the link to find out more about upcoming events at Muckross. Each farm dwelling reflects the size of its’ individual land holding and is furnished in traditional style. There is also a coach service available at the farms.